Kevin Couch along with his wife and daughters, Julie, Amber & Autumn. 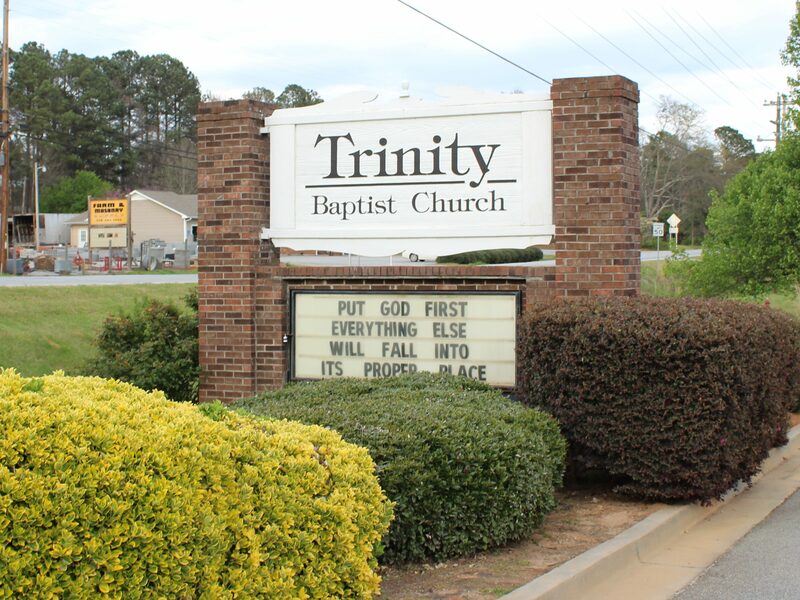 I consider it a privilege to serve as the pastor of Trinity Baptist Church. Just a little background of our years here at Trinity: Julie and I joined the church in 1988; both our children Amber and Autumn were born during our time here. They were both saved and baptized here at Trinity as well as Julie. I started working with the youth here in 1995 and eventually took over as Youth Director in 2006. I preached as a lay preacher for about 5 years, and then answered the call to preach on March 9, 2010. I was ordained in August 2010 as Pastor of the Youth and served in that capacity until October 2012, when asked to serve as interim pastor. I must say I have felt the hand of God working in my life to bring me to this point. He placed me under the leadership of Bro. Rick Duncan who pastored Trinity for 33 years. My pastor has taught me so much and his training has prepared me for the service to which I’ve been called. Thank you Bro. Rick for your faithful service to the Lord.